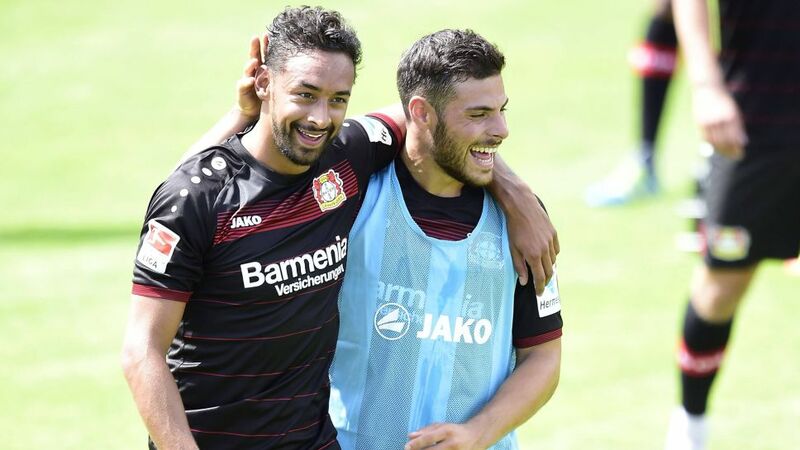 New teammates Karim Bellarabi and Kevin Volland (l-r.) both hold the record for the quickest-ever goal in the Bundesliga. In its 53-year existence, the Bundesliga has seen a whole host of incredible records set. But records are there to be broken! Allow bundesliga.com to introduce the most spectacular and reveal which of them could be smashed. FC Bayern München star Robert Lewandowski almost consigned Dieter Müller to the history books last season. On Matchday 6 he came on as a substitute and promptly plundered an incredible five goals in the space of nine minutes. The Pole finished top scorer in the league last term and is not finished yet. Should he repeat that feat, he will become the first non-German to become Bundesliga top scorer for a third time. Is Lewandowski in your Official Fantasy Bundesliga side yet? If not, why not? Sign him up! Neuer has shown no let up in his world-class consistency. What's more, he plays behind a defense that concedes the fewest chances and has just been strengthened further still with the signing of Mats Hummels. Which records could fall? All of the above.